For the record, I told you so, Peter! In 2007, my British husband got a ticket for walking our dog Henry without a leash in Washington, D.C. The National Park Service made it impossible to pay the ticket. So, a newly minted citizen, Peter said he’d wait for his day in court. I told him that was most unwise and that he could end up in jail. Overcriminalization is a serious issue in our country, and while Peter’s experience was trivial, it describes a terrible (yet hilarious) day. Here’s an excerpt from my new book, “Let Me Tell You About Jasper.” This story is written by Peter, explaining how he ended up in jail while I was working at the White House. When he was given his “one phone call” from jail, I was in the Oval Office briefing the president. True story. With that, I give you: my husband, the off-leash criminal. It’s all Henry’s fault! My brush with the law started around 7:15 p.m. on Nov. 15, 2007, when I took Henry to Lincoln Park. I parked across the road and was walking in the park with him; the park was deserted apart from a few other dog owners there, and we chatted about our dogs as the darkness settled around us. We were standing near the Lincoln statue when we noticed headlights entering the park toward the far end, and we saw a police car racing down the middle of the park toward us. We soon realized the reason for the rapid approach: It was the Park Police and our dogs were off-leash. Everyone immediately called their dog and reached in their pockets for their leash. I did the same, but alas—no leash! I had left it on the seat of the car. I quickly turned away and, with Henry walking extremely close, started to leave the park. “You! Stop!” I heard. I turned and sure enough, the policeman had leapt from his car and was advancing rapidly toward me. Busted! I explained to Officer Smith that I had left my leash in the car and was returning for it, so he asked for ID, then instructed me to wait while he went to the car. He took a few minutes, presumably checking I was not a serial dog-off-leash scofflaw and returned to write the ticket. I tried to make light of the situation and joke with Officer Smith, but he was all business. No response, no smile, no pleasantries in reply to mine. I duly received my ticket and was told that I could pay at any of the stations listed on the back. I informed Officer Smith that there were some suspicious squirrels at the end of the park that he might want to check on, and returned to my car. Okay, I got a ticket. I was in the wrong, I broke the law, and I am not arguing with that. I had 15 days in which to pay and so on Nov. 24 I reported to First District Substation on E Street SE in Washington, D.C., as listed on the back of the ticket. I returned home and, as we were leaving town for a couple of days, I decided to call the Park Police headquarters on Ohio Drive SW to check whether they accepted payment, or ask where I should mail the check, as the ticket stated, “You may mail in the collateral” but did not state where to mail the payment, how to make the payment, or to whom the payment should be made. However, all I got was an answering machine; an hour later I got the same. Are you starting to see a pattern here? I have since learned that the ticket I received with both wrong and missing information had been incorrect for six years. A friend got a ticket six years prior and the station on E Street SE did not accept payment then. So I duly wrote a check made out to U.S. Park Police and mailed it to the headquarters, with a letter explaining that their ticket contained wrong and insufficient information. They received my letter and did not reply for 12 days before stating that my payment was unacceptable and that I should send a money order to the D.C. Court. Given that I had made three attempts to pay, and some information on the ticket lacked sufficient details while other information was just plain wrong, I decided to have my day in court. I wanted to explain to the judge just how apathetic/indolent/incompetent the Park Police are with their tickets. And as a newly minted citizen (for all of about two months), I knew it was my right! I was therefore awaiting notice to attend court, but did not hear anything for some time. Given that the Park Police are apparently incapable of producing a competently written ticket, this didn’t surprise me. Oops! That’s something else not mentioned on the ticket—apparently the Park Police expect citizens to be psychic. So during the 12 days my letter was sitting in the Park Police headquarters being ignored, they had gone ahead and issued a warrant. My belongings and belt were taken and I was placed in a cell. Now, I am a normal, law-abiding person. I’ve never been in a cell in my life, and my reaction was somewhere between surprise and fascination. It was just like the TV shows. The fact that I knew a judge would release me as soon as I was through the court proceeding meant that I was never worried—this was in no way a long-term situation—but it was strange to know that I could not leave if I wanted to. I no longer had any control over my own freedom, and while awaiting transportation to the court I contemplated how awful it must be for someone who knows they will be incarcerated for a long time. It doesn’t matter how many times you see it on the TV; it’s different when you are there yourself. I was tempted to ask if I could get a tattoo of Henry on my shoulder to mark the occasion. However, when the other prisoners were taken to court and I remained there, I inquired as to why and was told that, as I was a Park Police case, I must await a Park Police officer. Of course nobody turned up from the Park Police station for a couple of hours, so I sat and waited patiently, counting the tiles on the floor (8,280) and finding the whole situation actually quite amusing. Though by this time I knew that the parking meter was running out for my car; so much for a couple of hours. Finally, the Park Police arrived and it was none other than my old nemesis Officer Smith! He searched me again and, after handcuffing me, led me to his car. At least I sat in the front so it wouldn’t look like I had been arrested if anyone I knew saw me. When he got into the driver’s seat, I said, “When you put me in the car, weren’t you supposed to put your hand on my head, like they do in the movies?” He did not respond. I tried making conversation with Officer Smith but the responses were monosyllabic and usually one word. I tried making jokes, but they fell on deaf ears. All business, this guy (or maybe the squirrel jibe was still rankling him). Upon arrival at the headquarters building, I was taken to another cell and the cuffs were released, then after five minutes Officer Smith brought me out and cuffed me to a wooden bar while he filled in the necessary paperwork. It’s probably just as well he did, because by this time I was considering fleeing. If I could just overpower this young, fit, armed officer and steal his ID to open the door before anyone noticed—the place was after all virtually empty—I could be free! I could see the headlines: Leashless Dog Walker Stalks D.C. parks. I knew I was also allowed to call my wife, but I was a little afraid to. Dana had warned me several times about getting that ticket paid, and when I told her I was going to exercise my rights she told me I was going to be arrested. I didn’t believe her. Now I was going to have to call her at the White House, where she was the acting press secretary and surely “didn’t need this crap.” Her White House voice can still scare me to this day. So I said to Officer Smith that I would like to make a call. He looked at me blankly. “I’ve seen the movies. I know my rights,” I said with a smile. When I called the press office, her assistant press secretary Carlton Carroll answered the phone. He said she was in the Oval Office and asked if I wanted to interrupt the meeting. Over my dead body! So I asked him to leave her a message, which he promptly emailed. She saw a message came in and snuck a peek at her messages. All it said was that I had been delayed and that she needed to arrange for the dog walker to come take care of Henry. More handcuffs, another car, and I was soon at the court building, where, once Officer Smith was sure we were behind locked doors, I was handed over to the processing officers. Form-filling and fingerprinting followed; however, these fellows, while highly professional, were a lot more relaxed. When they asked the reason for my arrest and I told them “walking my dog without a leash,” the response was hilarity. I think I was the first, as it took them some time to find the nearest category for me on the computer! When they stopped laughing, a mature officer of some years’ service also told me, “This is ridiculous.” He explained that most officers would have used their initiative, had the warrant delayed for a couple of days, and made a call, or even visited me to tell me to go to the court and pay. Still, we enjoyed the humor of the situation and made a few wisecracks, while they fed me cheese sandwiches and lemonade and, after 10 minutes in my third cell, I was cuffed again and placed in the back of yet another car to be taken to the Superior Court building a couple of hundred yards away. By this time, it was early afternoon, and the officer driving told us he was rushing so that we would be processed that afternoon. He explained that if we weren’t processed that day it would mean an overnight stay. Now it wasn’t quite so funny! So now I arrived at the Superior Court, where the handcuffs were finally removed, only to be replaced with leg shackles! “If my friends could only see me now,” I thought with a wry smile. Following another search, I found myself in the fourth cell, one I shared with 20 others. A couple hours more cell time and after three court-appointed attorneys shared the humor of the situation and expressed their disbelief that an arrest had been made for this, I found myself in front of the judge. I explained what had happened and even the judge smiled. With my English accent, I was clearly a relative newcomer to the United States, and I had made three attempts to pay via a Park Police system that I described to him as blatantly incompetent, but it had not been possible given the inadequate information they provided. Upon payment my record would be expunged, and I left the court a free man. I had to collect my belongings from the Park Police station the next day—they had told me that after 3 p.m. the office would be closed. I hope nobody went there to pay a fine that afternoon. Oh, and the good news was—I did not get a parking ticket after being off the meter all the previous day! But if I had, I would have paid that ticket right away. 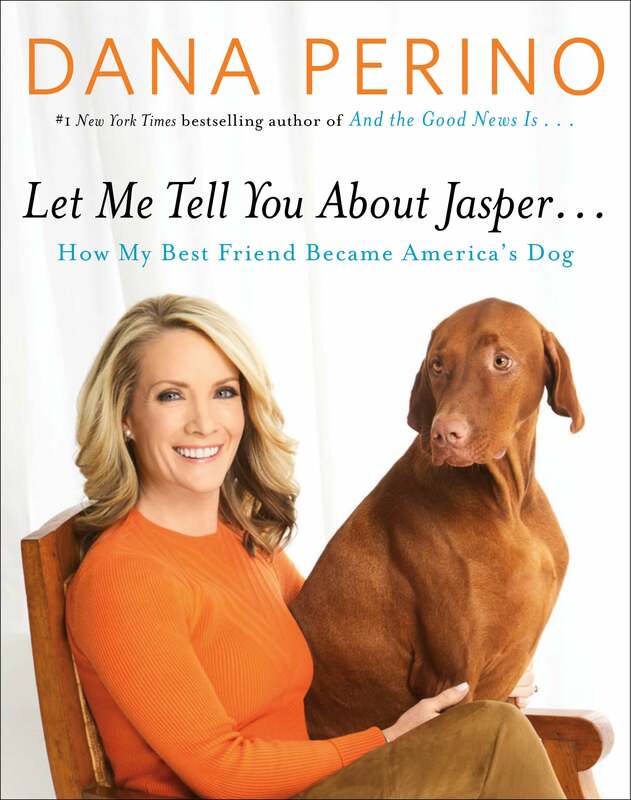 This is an excerpt from Dana Perino’s new book “Let Me Tell You About Jasper,” courtesy of Twelve Books.